Fairview Heights Plumber: Do You Need a Water Filtration System? Do You Need a Water Filtration System in Your Home? What happens to the water before it gets to your home? Before the water that you use to drink, shower, cook and clean gets to your home it gets filtered and treated by your local water treatment facility. Your water treatment facility will filter out dirt and other particles, and they will also add chlorine to kill bacteria and other microorganisms that may be in your water. 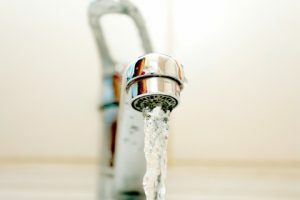 Although water treatment facilities go a long way to providing you with safe, clean water, as the water makes it way towards your home, other contaminants can be picked up along the way. How do you make sure that your water is safe? Some of the chemicals and microorganisms found in water can put you at a higher risk for health problems or possibly even aggravate your existing health problems, and the only way to know what kind of impurities are in your water is by getting it tested. Not only will testing your water let you know what kinds of contaminants are in it, but tests also reveal other things, like hard water. Call your water treatment facility – Water treatment facilities are supposed to test the water that they are providing you with regularly, so your first step should be to call them and ask for the results of the latest test. Find a lab for independent testing – Contact your local health department to find the names of qualified labs that can test your water, then follow all directions from the lab that you’ve chosen. DIY water testing – There are many water testing kits online and in stores. It’s always the best idea to turn to a professional, but if you prefer, you can also test on your own with a DIY water testing kit.